What is that steel plate that covers parts of certain EK GPU water blocks and why is it there? 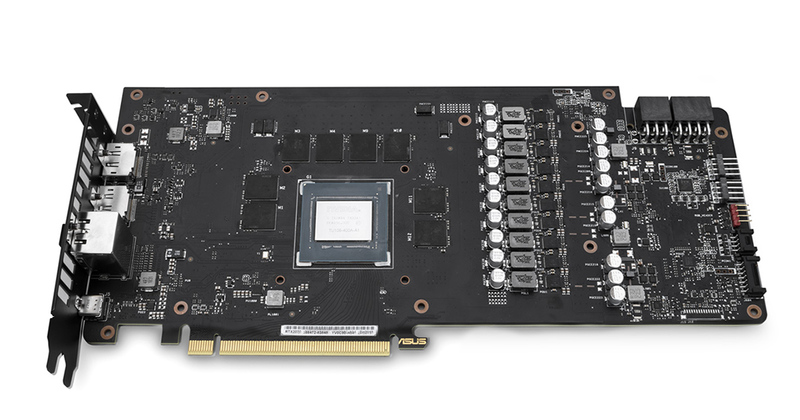 For custom PCB layout full-cover GPU water blocks like for high-end Strix, MSI and some others GPUs as well, the steel plate is applied just above the main VRM section, but it is not there for the aesthetics. Tall VRM components, like those capacitors on the ASUS Strix graphics cards, make it impossible to go over them without sacrificing the signature single slot design that EK is proud of. This is a way to jump over these VRM components by adding the stainless steel plate to act as a bridge. The liquid is passed on from the main cold plate of the waterblock, flowing up between the plexiglass top cover and the stainless steel plate, just to flow downwards into the separated section which cools the MOSFETs in the VRM section. So there, now you know why certain GPU water blocks are using a simple but elegant solution to bridge coolant over to efficently cool the VRM section. Everything you need to know about coil whine Push, Pull or Push-Pull on radiators?